Content courtesy of an unpublished manuscript by Dr Hannah Berliner Fischthal, St John’s University, New York. The full article with references is due to be published in the United States Holocaust Memorial Museum’s Encyclopedia of Camps and Ghettos, 1933–1945. In effect from 1940 to 1944, Organization Schmelt was named after its director, SS-Oberfuehrer Albrecht Schmelt. Organization Schmelt began establishing forced labor camps for Jews in 1940. The camps were built next to factories where war materials were manufactured, so that Jewish labor could be exploited. 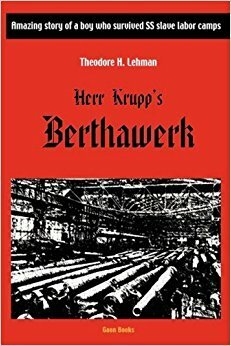 In this book, Theodroe H. Lehman narrates his life as a laborer in Krupp Industries’ Berthawerk artillery factory, as he learned to survive constant SS brutality and death threats. Surrounded with barbed wire, 16-18 buildings were organized into blocks with a giant “Appellplatz” (roll-call square). Each of the long wooden barracks contained five rooms supervised by “Stubenälteste” [room Kapos]. Accommodating 26-40 men, every room had bunk beds and one folded blanket per straw mattress. Belgian and Dutch Jews slept in two separate barracks surrounded by barbed wire. The toilet block contained a long plank of wood with about 30 holes in it above a deep trench. Several cold-water faucets lined the wall; there was no soap, towels, or toilet paper. Märkstadt held 3,000-4,000 Jewish men. 120 women peeled and cut potatoes, and cleaned. Helen Bronner, 14, repaired clothes, mostly by hand. Each room in the women’s quarters contained 20-30 straw mattresses on tiered bunk beds. Kapos beat the females with rubber truncheons. Women who were pregnant, mentally ill, or physically sick were deported to Auschwitz. Barracks for civilian Poles, Czechs, French, and Germans were outside the gate, as were the officers’ quarters. Wehrmacht soldiers, SA, and later some SS, all following orders, guarded the camp. 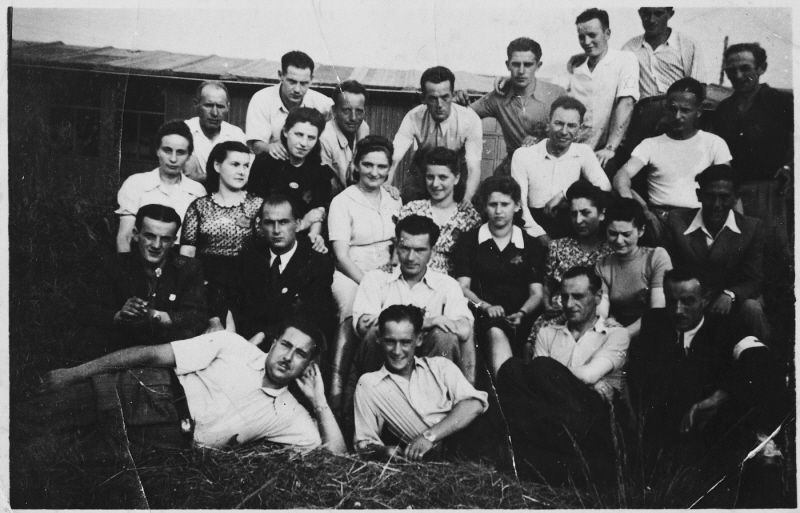 Most sources believe the camp operated from March/April 1942 until March 25, 1944, although 100 Jewish men and 29 Jewish women were sent from Sosnowiec to Markstädt on February 25, 1942. Transports continued until the winter of 1943-1944. Most Jewish males were brought to Markstädt from other nearby camps and from towns in Eastern Upper Silesia. When the Johannsdorf and Sakrau camps closed in 1942-1943, the prisoners were delivered to Markstädt. Additional Jews from France, Holland, Germany, Czechoslavakia, and Belgium, (including those born in Russia and Ukraine, all deported from Malines to Auschwitz but selected for forced labor at Cosel) also populated the large camp. Boruch Meister’s Kapos Herschel Moch (Eichenbaum), Leybusch Bosak, and Moishe Machtinger used their truncheons and yelled. Whistles and screams woke the prisoners before dawn and signaled the “Appell” [roll call], during which they were counted in the dark and cold, guarded by “Gestapo men” with dogs and chains. 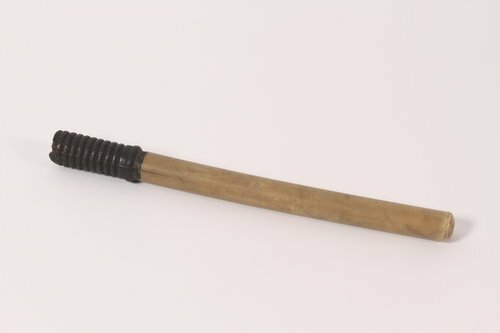 A Kapo would beat any latecomer on his bare backside 25 times with a steel wire whip that “would wind itself down around the stomach, where it made large cuts.” After two more whistles, the men stepped forward according to the firms using them. Thousands of men constructed the Berthawerk at the 2,000 acre Krupp site, 1-2 hours away. Others, beginning August 1943, built the Fünfteichen subcamp of Gross-Rosen for Krupp 6 kilometers (3.8 miles) away. The prisoners cleared land, hauled, lifted, laid cement blocks, dug ditches, drained, emptied cesspools, 12 hours a day, with one 30-minute break, six days a week. Belgian and Dutch Jews, segregated from the others, labored from 4:00 A.M. until midnight at construction and drainage. Subcontractors included ARGE Marmor, Deutsche Erd- und Steinwerke GmbH (DESt); Karl Barthel; Bassow, barracks; Beton- u. Monier-Bau, concrete and cement mixers; Brown & Boveri, engineers; C & U [Christoph & Unmack]; Dr. Wisner, concrete blocks; Eichenkampf und Schmidt, glazing; F.G. Schlesien Ferngas, gas pipes; Glatzer Bau-Ring, M/S für Luranil; Göbel, transport; Grün & Bilfinger; Henkell & Sohn; Kirsch from Breslau; Julius Schallhorn, construction; Lenz & Co.; and Wayss & Freitag. The famished laborers marched back, five abreast. They stood at attention a long time at the camp gate, eyes right, to be searched and counted. Haberfeld, caught with a piece of cement sack under his cap, was hit in the skull with a shovel. Ravett was savagely beaten when discovered with a piece of bread. In the camp, prisoners waited hours for soup, followed by Appell and lights out at 10:00 P.M.
Sol Kozak and many others testify that inmates received just one slice of bread and one bowl of thin soup a day. Kozak’s friends, caught stealing potatoes, were hanged. The spinach in the soup was bitter, not washed, and full of stones. Turnips fed to cattle were also sometimes thrown into the soup pot. All witness testimony condemns the insufficient rations; many Jews starved to death. Mortality rates were “extremely high.” Most Belgian and Dutch Jews succumbed during the winter of 1942-1943. Leaders prevented prisoners from sleeping by beating and then forcing them to clean up the blood, or by keeping them standing all night; Kimmelman fell asleep over his shovel at work. Wollenberg, a medic in Brande, said he had never seen prisoners as horribly abused as the ones who were transferred from Markstädt, frozen, with their rotting skin in shreds. “Le marchand de bestiaux” [cattle merchant], a description identifying Hauschild, a perpetrator in many Schmelt camps, “selected victims by a motion of his stick and took them away.” He kept his prisoners naked and starved them to death. Some of Krupp’s foremen and subcontractors were also guilty of violence. One prisoner returned from the work site with his brains extruding. Jews were constantly threatened with deportation to Auschwitz. Although mail had stopped, and Jews were not permitted to speak inside the camp, they learned about tragedies back home from new arrivals at their workplaces. Some secretly prayed evenings and holidays; most fasted on Yom Kippur. Boruch Meister, always dressed in leather, ensured the kitchen was kosher for Passover. A memorable “Selection” took place on November 25, 1943. 3,000 Jews stood naked in the snow for hours, then ran several hundred yards to the barracks, where an SS Lieutenant and a doctor sat on chairs, sentencing hundreds of emaciated Jews to be gassed. Gutterman asserts that “Hanschild” ordered the selection. The next day, many survivors marched to KL Fünfteichen. Markstädt was not a subcamp of the Gross-Rosen concentration camp; it was not an RAB (Reichsautobahn) camp; it was not the same camp as Fünfteichen. SS-Obersturmführer “Peykart” [Peikert] was named in postwar documentation as the “Kommandant.” Boruch Meister was the privileged “Judenälteste” [Jewish leader]. After the Berthawerk was completed, Markstädt closed on March 25, 1944. One thousand selected prisoners took their blankets and ran to Fünfteichen. Others were dispersed to Auschwitz or labor camps. The many sources of information about ZALfJ Markstädt include published memoirs by Jacob Birnbaum with Jason R. Taylor, I Kept My Promise: My Story of Holocaust Survival (Lexington MA: Jason R. Taylor Associates, 1995); Ernst Israel Bornstein, Die lange Nacht: Ein Bericht aus sieben Lagern (Frankfurt am Main: Europäische Verlagsanstalt, 1967); Abraham Hochhäuser, Unter dem gelben Stern (Koblenz: Humanitas, 1948); David Korzuch’s entry in In Sacred Memory: Recollections of the Holocaust by Survivors Living in Cape Town, ed. Gwynn Schrire (Cape Town: Cape Town Holocaust Memorial Council, 1995); Moshe and Stefa Robin, Stepping Into Life (South Caulfield, Vic. : Makor Jewish Community Library, 2002), written by a direct descendant of Radomsker Rebbi Shlomo Hakohen Rabinowicz; Israel Joe Sachs, Legacy of Life: A Memoir of the Holocaust (Oconomowoc, WI: MavenMark Books, 2010); and Jo Testyler, Les Enfants de Slawkow: Recit Autobiographie (Paris: A. Michel, 1992). David P. Boder’s 1946 interview of Abraham Kimmelman can be accessed on the Voices of the Holocaust web site in the original German and in a poor English translation. Wolf Berliner, uncle of the author, shared his experiences with her. Shawn Gumbleton submitted his MA Thesis, “Is Brotherhood Powerful? Male Mutual Assistance in the Slave Labor Camp of Markstädt,” at Chapel Hill in 2010. Thanks to Hermann F. Weiss for alerting me that scholarship assessing Markstädt as an RAB camp is incorrect; see Weiss, “Reichsautobahnlager Geppersdorf.” On Fünfteichen, see Geoffrey Megargee, ed., The USHMM Encyclopedia of Camps and Ghettos, vol. I, pp. 729-731. Jewish Agency for Palestine, G/456, Political Department, Jerusalem, Records of War Criminals, June 5, 1945, refers to “Peykart.”  Original lodgings were in the Hermann-Göring-Werke according to Wollenberg, und der Alptraum wurde zum Alltag, p. 198 n. 59. Reifer, “Eyewitness Accounts,” pp. 121-139; AŻIH, 301/703, Abram Szeftel; Bornstein, Die lange Nacht, p. 64; AŻIH, 301/915, Abram Zajdler. Bornstein, Die lange Nacht p. 86; VHF, # 33572 , Nathan Zajdband; Testyler, Les Enfants, p. 98; Robin, Stepping Into Life, p. 68. Gumbleton, “Is Brotherhood,” p. 26; VHF, # 26705, Lola Herz; VHF, # 24268, Rose Huppert. VHF, # 26705; VHF, # 46434, Miriam Jacobs ; VHF, # 7651, Helen Bronner. Abraham Kimmelman, David P. Boder Interview, 1946; Testyler, Les Enfants, p. 48. Mendel Dombrowicz, “My Survival Under the Nazi Regime,” trans. 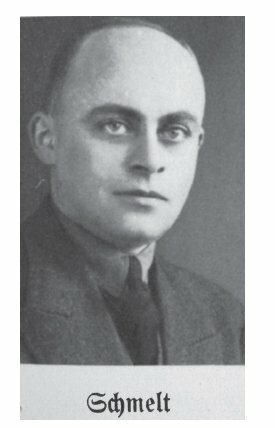 Avi Stavsky, Dąbrowa Górnicza Yizkor Book, jewishgen.org, p. 340; Reifer, “Eyewitness Accounts,” p. 133; ITS, ed., Vorläufiges Verzeichnis der Konzentrationslager und deren Aussenkommandos sowie anderer Haftstätten under dem Reichsführer-SS in Deutschland und deutschbesetzten Gebieten (1933-1945) (Bad Arolsen, 1969), p. 297; Kimmelman Inteview. ITS, 6.3.3.2, TD 169421; VHF, # 42241, Max Fischel; # 2105, Murray Ravett; thanks go to Gert de Prins of War Victims for providing information about Belgian Jews. Bornstein, Die lange Nacht, p. 64; VHF, # 3219, Joseph Steinschriber, who arrived in February 1943. VHF, # 777, David Fierstein. Abe Monhnblum [Kimmelman] in David P. Boder, I Did Not Interview the Dead (Urbana: 1949), p. 118. Abelshauser, “Krupp ist nicht Ford,” p. 376; Herschel Fink, Geschiedenis van de Joden in Antwerpen, by Ephraim Schmidt (Antwerpen: Ontwikkeling, 1963), p. 281; Chaim Berkowitch, d22027/PPE39386 Kal 1800. VHF, # 32675, Schmuel Haberfield; VHF, # 2105; Bornstein, Die lange Nacht, p. 65. Gruner, Jewish Forced Labor, p. 225. Kimmelman, interview by Boder. Wollenberg, und der Alptraum wurde zum Alltag, p. 91. Testyler, Les Enfants, p. 107. Solomon Gross, who was in Sakrau, refers to “the limping cattle merchant” in Silent Sun (New York, 1992), p. 71. For more on Hauschild/Haunschild, see Weiss, “From Reichsautobahnlager to Schmelt Camp,” pp. 102-103. Gutterman refers to him as “Hanschild,” see A Narrow Bridge to Life, pp. 45, 59, 67. VHF, # 26705  Ibid. ; ZA # 566, Charles Glass; Josef Wilk, “Eidesstattliche Erklärung.” YIVO Archives, Eye-Witness Account, RG 104, Series I, # 540 (January 20, 1947). Hochhäuser, Unter dem gelben Stern, pp. 34-35. Bornstein, Die lange Nacht, pp. 107-108; Gutterman, A Narrow Bridge to Life, p. 67. Bornstein, Die lange Nacht, p. 67; Gutterman gives the number as 1,000, A Narrow Bridge to Life, p. 93. See VHF, # 29777, Aron Greenfield; Hochhäuser, Unter dem gelben Stern, pp. 33, 35; Testyler, Les Enfants; VHF, # 06982, Victor Cooper; VHF, # 24268. Bornstein, Die lange Nacht, p. 78. Głόwna Komisja Badania Zbrodni Niemieckich w Polsce. “Akta w sprawie Bosak Leybusch, Machtynger Moryc, Eichenbaum Harchel Nr. 1540.” Geschäftsbereich Strafgerichtsbarkeit, Landgericht Berlin, Berlin, 1948, 16/3. Głόwna Komisja Badania Zbrodni Niemieckich w Polsce, 1948, V.U. 122.48. Thanks go to Andrea Rudorff . Jewish Agency for Palestine, “Records of War Criminals: Instigators and Perpetrators of Crimes against Jews.” G/456, Political Department, Jerusalem, June 5, 1945. See also, ITS, 5.1, fol. 78, p. 24. Manchester, The Arms of Krupp, pp. 657, 686. Thanks go to Aleksandra Namysło of IPN.